Glanmore House is located at 257 Bridge Street East. A visit to Belleville can include a trip through a time portal to the late 1800s. 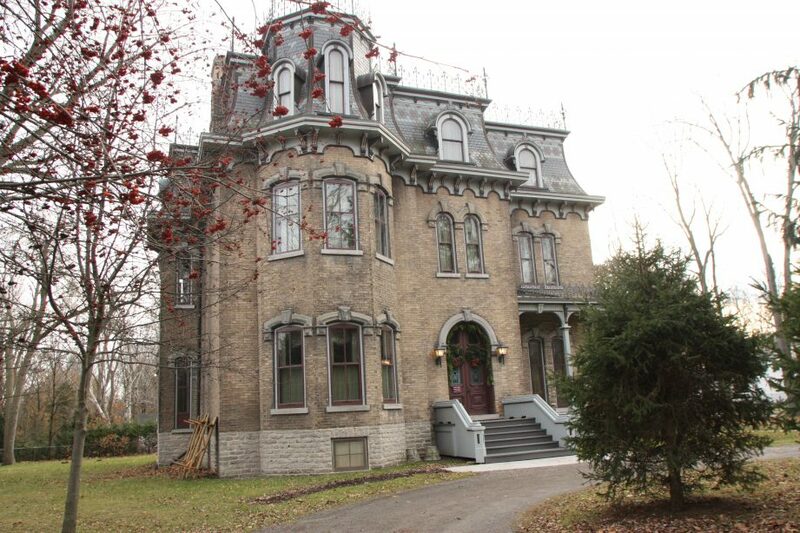 All travellers need to do is attend the southeast corner of Bridge Street East and Dufferin Avenue and step from the sidewalk and onto the property of Glanmore National Historic Site. The large Victorian-era home, affectionately referred to as Glanmore house to most, is a city-owned museum. The house is decorated and preserved to 1883-styles in the most authentic ways possible. The way the yard and gardens are landscaped is in keeping with the times. Inside, staff have gone to great lengths to recreate carpet that’s fitting of the era. Even the house’s stunning ceiling designs have been preserved and maintained to honour the past. The result is a thriving tourist destination that continues to celebrate Belleville’s past and is a hit with the young and old. While Glanmore receives several thousands of visitors a year, who drop in for self-guided tours or for special events, it also hosts education programs for school groups and summer camps. Seniors groups also visit regularly. The house tells the story of the Phillips family. It was built for John Philpot Curran Phillips and his wife Harriet in 1882-83. John was a banker and Harriet, the daughter of a judge, had inherited the land. It remains a mystery as to why the house was called Glanmore, but historians’ best guess is that the Phillips family had links to the Glanmore region of Southern Ireland. The home was designated as a national historic site in 1969 because of its outstanding Second Empire architecture. 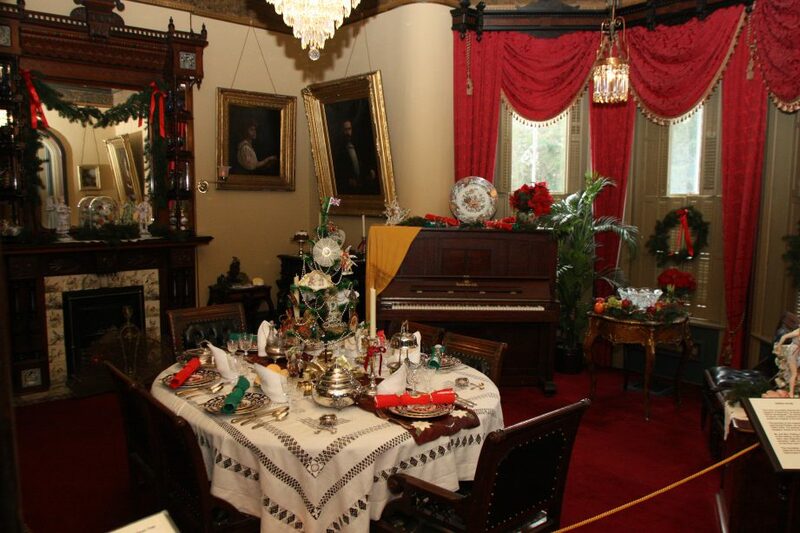 The Glanmore dining room is decorated for Christmas. 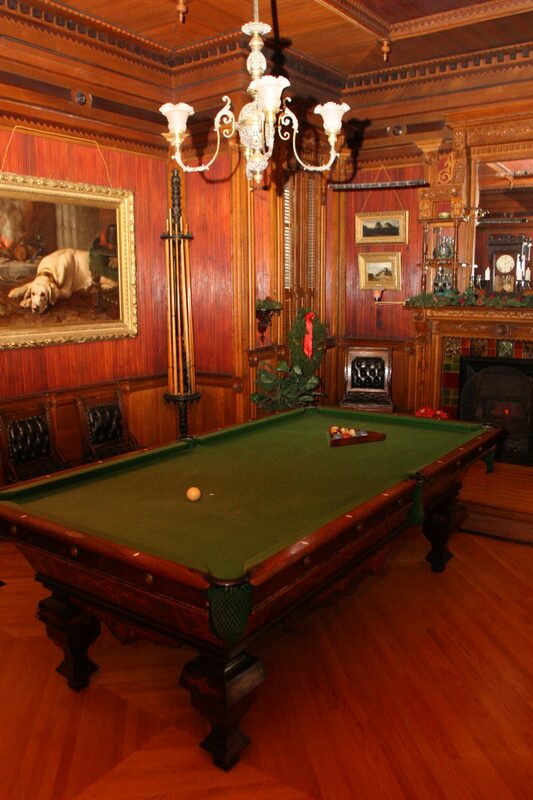 A visit to Glanmore gives people a glimpse of what life was like for the affluent in the late 1880s, through rooms such as the games room and dining room. But museum staff know these displays on their own won’t keep people coming back multiple times. Travelling exhibits come in and out of Glanmore regularly, so there’s always something new for people to see. An exhibit called Hands on Nature is coming in time for March Break 2018. The exhibit comes from Toronto’s Royal Ontario Museum and it will teach visitors about biodiversity and conservation. Similar exhibits of general interest, on topics ranging from Terry Fox to ancient Egypt, have visited the museum in the recent past. And as Glanmore keeps history alive, its staff also think about the future. “Although we’re in a historic house, we are also the community museum in Belleville. There’s no other museum collecting local history artifacts or displaying them,” says Wakeling. “The challenge we’re facing now is with the restoration we’ve done, it’s getting harder and harder to display local history. It’s very difficult to display in these rooms, for instance, a display on early industry. But regardless of what happens in the future, the stunning yellow-brick structure will remain a fixture in Belleville. Glanmore will continue to be a beacon in the city’s charming East Hill community and will continue to invite people in to learn about the city’s past and about topics that peak people’s interest. “I believe there really is something for everyone here,” says Wakeling. Previous Previous post: Local Chef Matt DeMille Goes Fishing….